It is 2019, and millions of computers still either have at least one outdated application installed or run outdated operating systems, making themselves vulnerable to online threats and known security vulnerabilities/exploits. Security vendor Avast has released its PC Trends Report 2019 revealing that millions of users are making themselves vulnerable to cyber attacks by keeping outdated versions of popular applications on their computers. Probably the most overlooked vectors for any cyber attack is out-of-date programs, which most of the times, is the result of the users’ laziness and company’s administrators ignoring the security updates in a business environment as they can't afford the downtime. 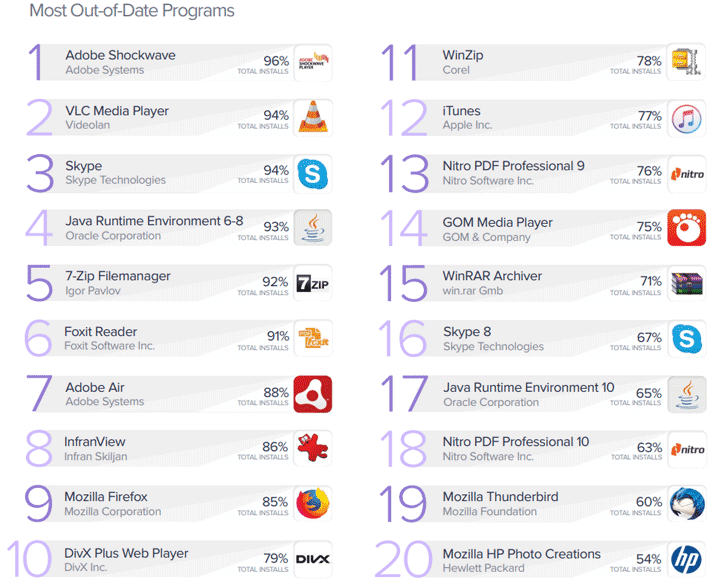 According to the report [PDF], Adobe Shockwave tops the list of software that most user left outdated on their PCs, followed by VLC Media Player, Skype, Java Runtime Environment , 7-Zip File Manager, and Foxit Reader. The outdated software applications often provide an open door for hackers and cybercriminals to take advantage of security bugs and loopholes in the programs, making them a potential target of cyber attacks. 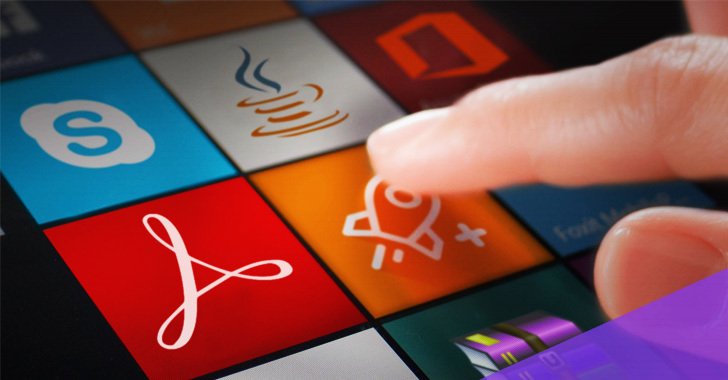 However, it is not only applications but also operating systems that are out of date. 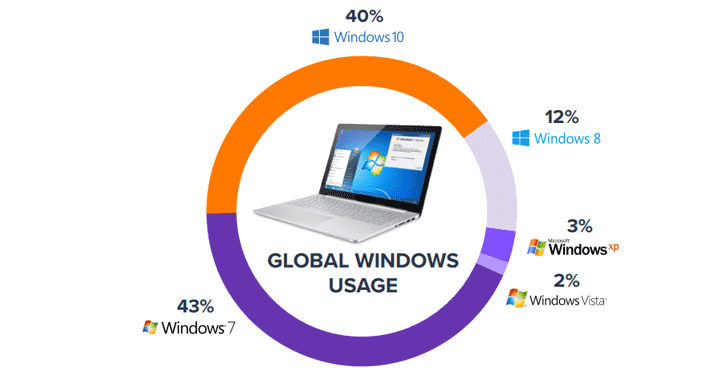 Almost 15% of all Windows 7 computers and 9% of all Windows 10 computers are running an outdated version of the operating systems. To understand the risk, there could be no better example than the Global WannaCry menace that largely infected networks that used out-of-date operating systems, like Windows XP, for which Microsoft no longer offers technical support. WannaCry was taking advantage of a dangerous security hole in Microsoft Windows that had already been fixed by the company months before the ransomware threat strikes the whole world. "Most of us replace our smartphone regularly, but the same cannot be said for our PCs. With the average age of a PC now reaching six years old, we need to be doing more to ensure our devices are not putting us at unnecessary risk," said Avast President Ondrej Vlcek. "With the right amount of care, such as cleaning our hardware’s insides using cleaners, optimization and security products, PCs will be safe and reliable for even longer." The bottom line: Keeping your operating systems and software applications patched and up-to-date can protect you from cyber attacks and prevent hackers from taking advantage of your vulnerable machine to steal your personal and sensitive data.